What is Restorative Justice? 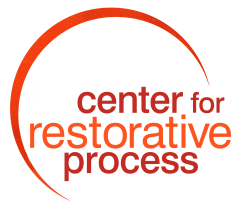 What are Restorative Practices? Restorative Justice is an alternative to using punishment to manage misbehavior. Punishment-based approaches are the tradition most of us are familiar with, because they are the basis of our criminal justice system, guided by the idea that punishment, if fair and proportionate, is the best response to crime. In practice this means identifying, prosecuting, and punishing the offender. Often this is done at great cost to society, with little healing for victims and communities and outright harmful effect on offenders and their families. School discipline has for the most part taken its cue from the criminal justice system. The focus is on punishing wrongdoers with the aim of enforcing behaviors that are safe and non-disruptive. When punishment does not work, misbehaving students may be excluded through suspension or expulsion, with possibly serious long-term harmful consequences to them and society. There is little or no opportunity for social and emotional learning. Restorative practices in schools are based on restorative justice principles instead of punishment. They aim first to build classroom communities that are supported by clear agreements, authentic communication, and specific tools to bring issues and conflicts forward in a helpful way. They provide specific pathways to repair harms by bringing together those who are affected by misbehavior in a dialogue to address concerns, achieve understanding, and come to agreement about setting things right. In addition to serving the cause of fairness and justice, restorative approaches make safer schools and contribute to social and emotional learning. As schools adopt and gain experience with restorative practices several shifts in perspective take place. These shifts don’t typically happen all at once. Nor do they typically happen perfectly. Three of the most important shifts are shown in the chart below. 1. From.... Efforts to suppress misbehavior based on the view that misbehavior is evidence of failing students or classrooms. To....Recognizing and using the inherent value of misbehavior as an opportunity for social and emotional learning. 2. From....Authority-driven disciplinary actions that focus only on the identified misbehaving students. To....Restorative circles that bring together everyone who is most immediately affected by the incident. 3. From....Punishment and exclusion is used to control misbehavior and motivate positive behavior changes. To....Dialogue leading to understanding and action to set things right and repair and restore relationships. The first shift acknowledges that troublesome behavior is normal, and when students behave in troublesome ways they create opportunities to learn important social and emotional skills. What is important is not so much that they got into trouble in the first place, but what they learn along the way. Making things right is a powerful learning experience. The third shift moves the locus of responsibility for well-being of the community from the shoulders of the experts to the community itself. While counseling and similar strategies have their place and are often helpful by themselves, they are immeasurably strengthened when complemented by restorative practices that challenge those who are in the circle dialogue to share information with each other and to come to agreements as a group. Reductions in disproportionate referrals of minority students. The anecdotal evidence—what teachers who have used the curriculum in this resource say—is compelling, albeit hard to measure. We have sprinkled some of their comments throughout this resource. They have to do with feeling more connected with students, with increased understanding, patience, and compassion. We know of at least one teacher who had decided to quit her career after eight years of teaching. She was so fed up that she was certain restorative circles would fail with her students. After all, everything else she had tried had failed. But as the students began to open up to each other she started seeing them with new eyes. She remembered why she was called into the profession in the first place. Relationships in her classroom improved, and it became more peaceful and focused. Instead of students being stuck in conflict, repeating the same destructive behaviors over and over again, she saw authentic social and emotional learning occur; she saw students mature during the year and become more skillful in their interactions. Her hope and optimism was renewed. She is still teaching.